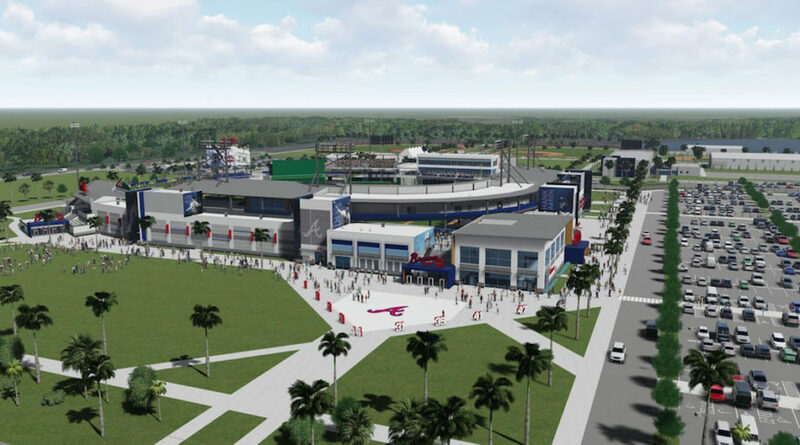 The Atlanta Braves will conclude the Florida portion of their 2019 exhibition season with the opening of their new Spring Training facility in West Villages in the city of North Port on Sunday, March 24, the team has announced. Their opponent for the 4:05 p.m. game will be the Tampa Bay Rays, a Braves news release says. Atlanta’s 32-game slate will begin on Saturday, Feb. 23, with a road game against the New York Mets in Port St. Lucie, the release notes. The Braves then will open the home portion of their spring schedule on Monday, Feb. 25, versus the Washington Nationals at the ESPN Wide World of Sports Complex in Lake Buena Vista. The spring of 2019 will mark the 22nd and final year that the Braves will train at the Wide World of Sports Complex, the release points out. When completed, the new ballpark in the West Villages will feature 6,500 fixed seats and 2,500 additional general admission spots, including the berm and concourse, the release explains. The overall facility will include six-and-a-half practice fields, a 55,000-square-foot clubhouse and fitness center for the Braves, multi-purpose fields and public space that can be used for special events by the City of North Port and Sarasota County Government, the release adds. The complex will operate year-round, with extended Spring Training for minor league teams and Gulf Coast League and Fall Instructional League games, the release notes. Season tickets are on sale for Spring Training 2020 in North Port at the Braves Preview Center. Contact springtraining@braves.com or 941-413-5000 to arrange an appointment, the release says. Fans who purchase season tickets will receive tickets for the game on March 24, the release adds. Individual tickets for that game will go on sale later this year.